For a long time I've planned to eventually replace my V10 Superduty with a new diesel version. I want the diesel for its longevity and better mileage. Every year Ford improves the trucks and adds more neat options (sunroof, power rear windows, etc). I've monitored Superduty owners and forums and many people aren't happy with the mileage or performance of the new diesels. 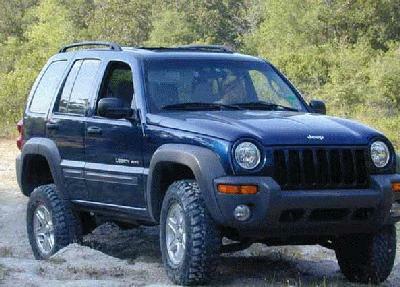 I recently saw an article about the upcoming Jeep Liberty CRD diesel. This got me to thinking. Several people I know have SUVs and I've been jealous of the inside storage. Even though my truck is a crewcab I still don't have enough room for all my stuff. 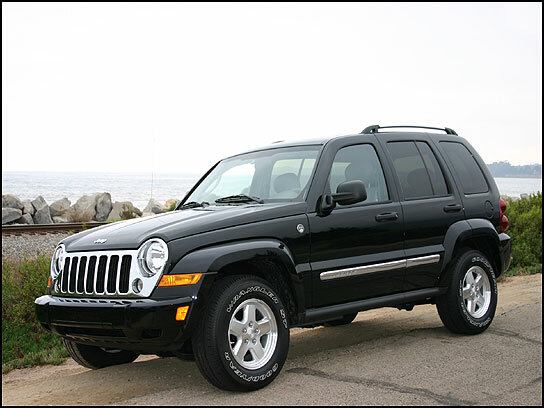 I like the looks of the Jeep Liberty. It looks like a Jeep, and has a nice Jeep drivetrain. Now I'm thinking I might keep my present truck and buy a Liberty CRD. I've made a lot of improvements to my current truck and I'm very happy with it. If I got a new Superduty I'd have to duplicate alot of what I already have. After going on our Colorado motorcycle trip I've decided I need to take more vacations, and the Superduty isn't a vacation truck. A Liberty CRD would get better fuel mileage, be more maneuverable, be easier to keep clean, and be a better vehicle for everyday use and vacations. It would also make an interesting new project vehicle. The Libertys are also reasonably priced for an SUV. For the price difference of trading in my current truck on a new one I could probably get a Jeep for about the same money. My big Ford Superduty has the offroad capabilities of a broken wheelchair. I can't imagine the new Fords being any better, so the Jeep would be an improvement there, too. Sounds like a plan. I've talked to a few Jeep Liberty owners and they all seem to have common complaints...poor seats, poor location of power window switches, and less room than similar SUVs. For 2005 Jeep has made the seats nicer and moved the window switches. 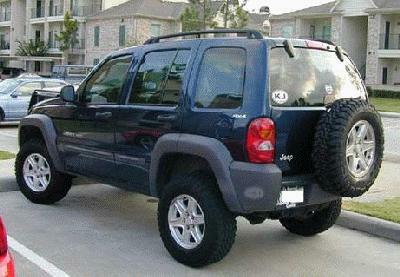 There's also a rumor Jeep is going to make the Liberty about 9 inches longer. This seems to address it's weaknesses. I'm going to see how people like the diesel Jeeps and if they are lengthened, then I'll decide what I want to do. August 2004 - The initial 2005 order guides are out, and there are some things I don't like. The heated mirrors and skid plate package are only available with the leather seat option. I'm not sure what someone was thinking when they made those restrictions. It's a Jeep. The skid plate package should be available on all models or made standard. September 2005 - The initial 2006 order guides are out. Not many changes. The overhead console is now an option on the Sport...which is nice. There seems to be less and less reason for me to get a Limited. The main new thing this year is the standard Electronic Stablility Program with Traction Control. From what I read, Traction Control kind of acts like a limited slip using the ABS sensors. If the ABS senses a wheel spinning it applies the brakes to that wheel to send power to the other wheel. Sounds good in theory, but I'll be interested to see how people like it. The bad part of Traction Control is the limited slip differential is no longer available as an option. I think Traction Control and a TrueTrac differential would make for a nice setup. - Small lift? - A 2 1/2" lift from Rusty's Offroad seems to be a popular choice. - Slightly larger tires? - I'm thinking 215/85R16's Bridgestone Revos or Bigfoot X/Ts. They're the same height as the 245/75's shown below but an inch thinner. Shouldn't hurt fuel mileage, and I like the tall, skinny look. - Gauges - A couple in an A-pillar pod and the rest in an overhead pod. I'm thinking turbo boost, pyro?, oil pressure, trans temp, water temp, voltage. Here are a couple pictures of a mildly lifted Liberty. Compared to other vehicles, these Jeeps can be fixed up for not alot of money. 2005 Liberty pictures - taken July 2004 at Martinsville, IN.